POSSIBLE SPOILERS AHEAD. It's been quite a while since The Mister and I have been to the movies, and breaking our dry spell with Looper was an awesome choice. Both of us have been wanting to see this film for a while, and it didn't disappoint. I really liked the story, which was set in an alternate-universe (or not?) future in which assassins clean up for mob bosses from the even further future, and people have a limited form of telekenesis. I thought the story did an excellent job of playing with timey-wimeyness, but it did get me thinking—how, exactly, did the people from the future convince the people in the (movie's) present that this was a real job/they weren't absolutely off their rockers? I enjoyed the characters, too. Joseph Gordon-Levitt's fake Bruce Willis nose is super distracting for the first 30 minutes or so, but I soon found myself not thinking about it as I got sucked into the story. (Though, I still do agree with Colt that they could have gotten around the whole prosthetic business by just punching JGL in the face early on.) Bruce Willis plays, well, Bruce Willis, but I can't find fault with that. (He even says part of his most famous line ever in the movie at one point, and that made me grin, intentional Die Hard homage or not.) And the kid who plays Sid is appropriately frightening, even before you get to know more about him. 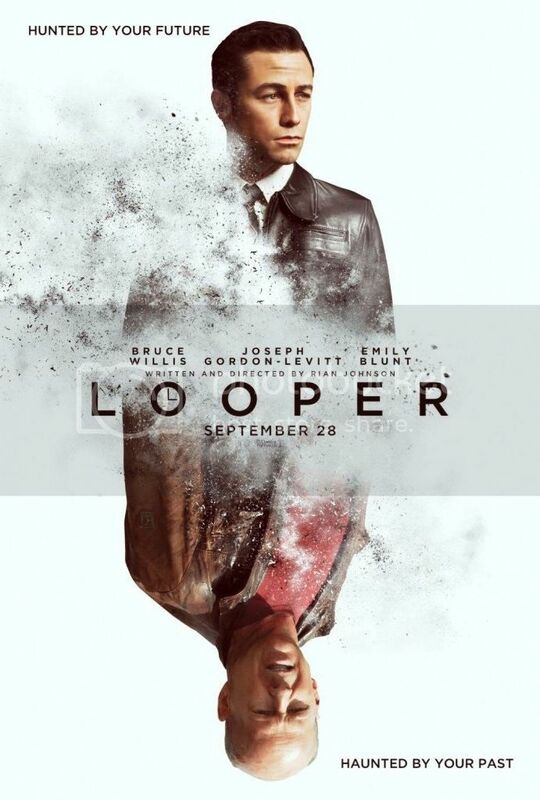 Looper is an excellent movie that is a fresh take on both the time travel and mob genres. I definitely recommend seeing this one if you like either.